Do I Have To Tell The Bankruptcy Court About All Of My Personal Belongings? Yes, you do have to disclose all personal and real property. This would include things like cars, houses, and time shares. But also stocks, bonds, bank accounts, and intellectual property. Even things like pots, pans, clothes, jewelry and other personal property needs to be disclosed. Now to be clear, it’s not as if you will be expected to itemize each and every piece of clothing you own, or a description of each piece of furniture. When you file a St. Louis Chapter 7 or a St. Louis Chapter 13 bankruptcy, the court divides personal property into certain categories. For instance, the court has a section for ‘Household Goods and Furnishings.’ This section would obviously include furniture, appliances, dishware, etc. But all the court requires is the garage sale value (not what you originally paid for the items, or what kind of sentimental value you may attach to your belongings). Once the garage sale value is listed, your lawyer will then use certain state exemptions to keep the property safe. These exemptions almost always cover the garage sale value by a good margin. Of course, making sure that your property is kept safe (and therefore out of the hands of the Trustee) is largely dependent upon what kind of lawyer you hire. 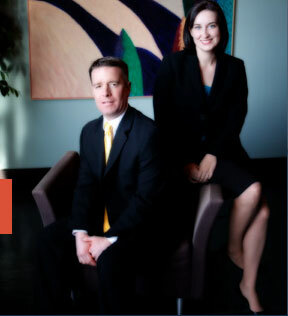 The St. Louis bankruptcy attorneys at Brinkman & Alter, LLC have been practicing the specialized area of bankruptcy for over ten years. Our staff is prepared to guide you through the entire process, and all our phone conversations and office consultations are free of charge.